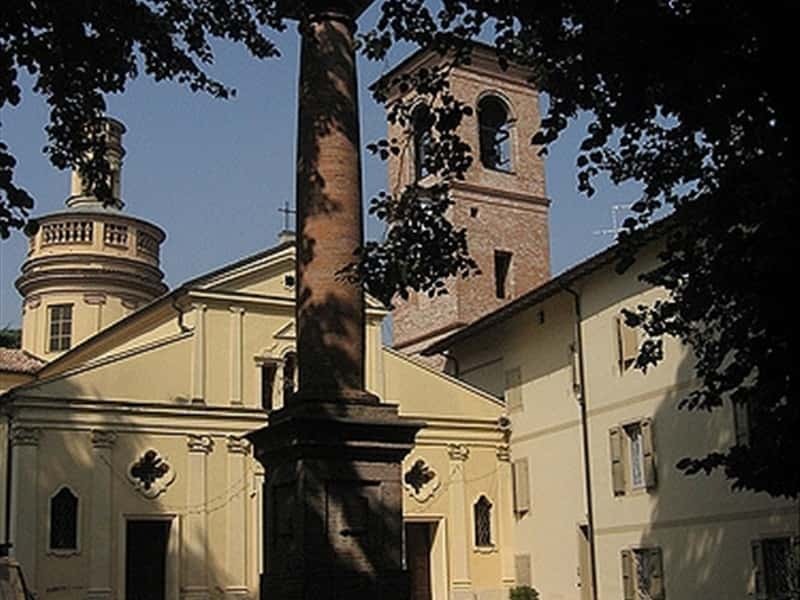 A municipality of the province of Reggio Emilia, located at just short distance from its provincial capital, Cavriago was mentioned for the first time in a document of 996, today preserved in the Archives of Parma, in which the town, known with the name "Corviaco", already had a castle. This bulletin reports the selling of the castle by the Countess Rolenda to a certain Paulone, who became the first Lord of the village. The town's name, however, has clearly Roman origins and probably derives from "curvus ager," referring to the hilly terrain where it is located. Scenario of clashes between the Lords of Parma and those of Reggio on the defining of their territory borders, it was also a favourite aim of thieves and criminals. In the XIII century it passed to the house of d'Este of Ferrara, who ruled over these lands until the Unification of Italy in 1861. - the Napoleonic cemetery, built in 1810 in late Renaissance style and renovated in 1923. This town web page has been visited 18,668 times.